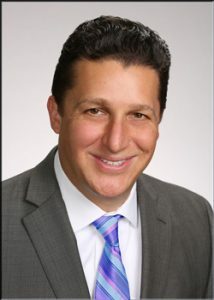 Mr. Varsano founded Vars Realty and Management in 2011 and has been a licensed real estate broker since 1993. He has over 20 years of experience in the ownership and management of commercial and residential income properties. 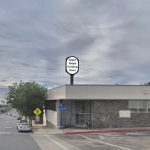 Prior to becoming a commercial real estate agent and then a broker, his career began at Automated Laundry Systems where he sold coin laundry machines and equipment to laundry service businesses. Eventually Mr. Varsano became President of the company. As an Associate Vice President at Grubb & Ellis, Mr. Varsano specialized in the leasing and acquisition of commercial properties. In 2006, he created the real estate marketing company Web Retool and was an independent instructor for various Keller Williams Realty market centers. Mr. Varsano studied investments at Cambridge University and holds a Bachelor Degree in Business Economics from the University of California at Santa Barbara. 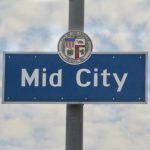 As a real estate broker, he is currently a member of the AIR CRE, Culver City Chamber of Commerce, Beverly Hills/Greater Los Angeles Association of Realtors, California Association of Realtors, and National Association of Realtors. 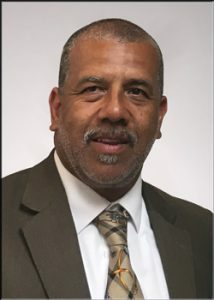 He has also served various functions related to the Culver City Unified School District including being a member of CC Bond Citizens’ Oversight Committee, founding member and current member of various booster clubs and PTA’s within the district. Other charitable work with community and trade organizations includes helping the Yucca Corridor Coalition of Property Owners and Managers in Hollywood, REC of the Jewish Federation, and International Council of Shopping Centers (ICSC). In his free time, Mr. Varsano enjoys playing soccer and coaches youth soccer through AYSO. He also likes skiing, cycling, hiking and photography. 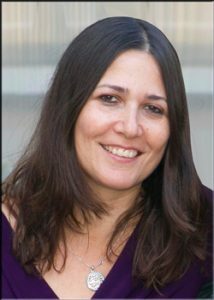 When Mrs. Varsano first came to Los Angeles in 1996, she worked at Geffen Records and then went on to music supervision at EMG Music Clearance where she worked on projects clearing music for HBO, Showtime and various other premium channel networks. After that, she worked at Carlton America as they produced made-for-TV movies. With an expansive background in entertainment, Lauren decided to go into the real estate industry because of her experience working with all sorts of different people including entertainment companies and startup businesses. 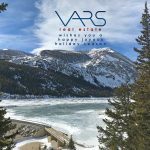 Mrs. Varsano officially joined the Vars Real Estate team as the Office Manager in 2017. 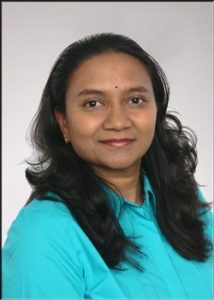 She has 17 years experience in residential and commercial property management. She earned a Bachelor’s Degree in History from Ithaca College in New York State. In Lauren’s free time she likes to visit the beach, ride bicycles and watch movies. Roopa Leon has called Culver city her home for over seventeen years. She has excellent problem solving skills, good attention to detail and a strong drive to excellence. She is a real estate enthusiast and her personal and professional experience in residential sales, property management and investing makes her an ideal agent for a variety of property types. She holds a graduate degree in Computers and she received her commercial real estate agent license in 2014. Mrs. Leon was focused on being the best mother she could be. She got her license to manage the properties that she owned at the time. She was dealing with tenants primarily and then she went to work for a brokerage in Temple City called Vastree Realty doing residential realty. She found Vars Real Estate and decided that she wanted to work in-office rather than at home so she could become more immersed in the culture and business involving real estate. That is when she decided that becoming a Commercial Real Estate Agent for Vars Real Estate was the move for her! In her free time she likes to listen to music and cook dishes from different countries all over the world. Ivan Simonet has been a licensed real estate agent for 22 years and has been managing residential and commercial properties for 12 years. During his real estate career, Ivan has managed over 17 different properties, some of which he personally has owned. His commercial property management and sales experience include churches, commercial-residential buildings, storefront locations and cell phone towers. Ivan served in the Army Reserve National Guard for 6 years and now enjoys working with active and retired military personnel achieve property ownership as housing. He is the founder of Rich Center for Prosperity; a non-profit organization aimed at helping veteran’s obtained their military benefits so they can be used for permanent housing or purchasing a home. His passion for helping veterans keeps him motivated and inspired to help veterans and non-military individuals with all of their property ownership and management needs.